Sierra Designs Frontcountry Bed 35 Degree Sleeping Bag is an innovative design and a very affordable item for a 3-season use, roomy and with some really useful features and with a synthetic fill. Sierra Designs Frontcountry Bed 35 Degree Sleeping Bag. This is a rectangular sleeping bag of a particular type, namely you have no zippers here. Instead, you have an oversized comforter that wraps your body and keeps you warm. So the bag is with a large top entry point and the comforter is sewn-in in the lower section of the opening. With such a design you can regulate the warmth easily as you can see from the pictures. One particular detail on the comforter is that it has insulated hand and arm pockets on its sides, and this helps you to seal out drafts; you can see them in the pictures. This is a fully closed configuration. If you feel warm, no problem with such a comforter. 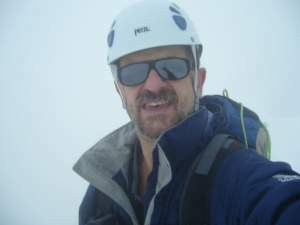 The insulation is synthetic, and this means heavier than down and less compressible, but it performs well in any weather conditions, including humid and damp situations, and it insulates you even if it becomes wet. The shell fabric is reasonably durable 50D polyester, and the lining is with a next to skin comfort. The bag is large, you have 62 inches (157 cm) circumference in all sections. So it is very suitable for side and stomach sleepers. One of the great features here is the foot vent which they added underneath the bag. This is a patented self-sealing design which allows for a fast and easy ventilation. This bag comes with an integrated bottom sleeve for a pad, see the picture below. This is convenient to have as this keeps the bag in place and it will not twist around your body if you turn a lot when sleeping, and also it will keep you on the pad during the night. If you move a lot when you sleep, you probably know what a mess you can have when you turn many times in the bag. Integrated sleeve for a pad. Size-wise, they build it in two sizes, so you can choose R or L (regular or long). See below in the specifications for the suggested fit. Weight-wise, with its 4 lb 6 oz (1989 g) for the size R, this is everything but a lightweight tool. Note also that it is rather bulky with the packed size of 20 x 11 inches (50.8 x 27.9 cm). So this is a bag for ordinary camping at places where you would not have to carry it in the backpack. If you need something lighter for the trail, better check this Nemo Ramsey 30 bag or the Mountain Hardwear Ratio 32, but these both are mummy bags so they offer less comfort. Seasons-wise, with the comfort-rating of 37 F (3 C), this is a summer camping bag, though officially it is for 3 seasons. If you need something for a bit lower temperatures, check this Nemo Ramsey 15 bag. One way of using arm pockets. The bag is suitable for stomach sleepers as well, here the arm pockets play a role to wrap the comforter around. Type: rectangular zipperless 3-season sleeping bag. – R: 4 lb 6 oz (1989 g). – L: 5 lb 3 oz (2355 g). – Limit: 27 F (-3 C). – Comfort: 37 F (3 C). – R: 42.7 oz (1210 g). – L: 50.9 oz (1443 g). – R: 6′ (183 cm). – R: 80 in (203 cm). – L: 86 in (218 cm). – R: 62 in (157 cm). – L: 72 in (183 cm). – R: 20 x 11 in (50.8 x 27.9 cm). – L: 21 x 12 in (53.3 x 30.5 cm). In the table, I give a couple of different options. So those are not competitors in a strict sense because of very different designs, but I wanted to show you what can be expected when you go for a different fill, or for a different shape. For example, a mummy bag has less material and it can be lighter, and a down bag is also lighter than a bag with a synthetic fill. See also how this all affects the temperature rating. Do not forget the prices as well; as of the moment of writing this text they are $100, 67, and 169, respectively. So all of them are rather affordable. Please follow the links for more details. So as you realize, the main idea behind this Sierra Designs Frontcountry Bed 35 Degree Sleeping Bag seems to have been the comfort. People need space in a bag, and some feel claustrophobic, so this design removes this feeling as much as possible. I have included it in my list of best 3 season sleeping bags. By the way, for some unknown reasons, on Amazon they give 30 Degree in the name of this bag; however, on the site of the Sierra Designs, this is officially 35 Degree. Just to know and to avoid confusion, this is the same bag. If such a big structure is still not enough, you might want to consider the duo version of this bed, with all similar features but twice the size. If you still need some more options, please check in my page with sleeping bags. 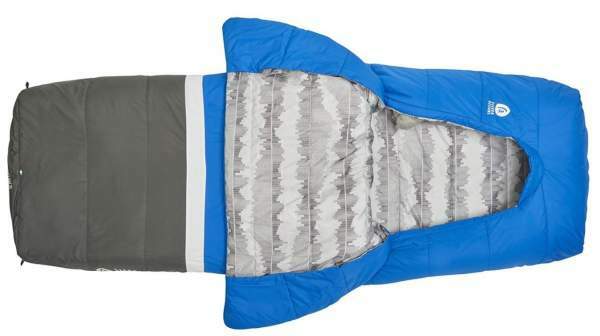 Check this ultra-lightweight Sierra Designs Cloud 800 which is a 35-degree sleeping bag. Thank you for reading. I wonder if you have experience with items of this type, if so please let us know, there is a comment box below. I wish you a nice day.